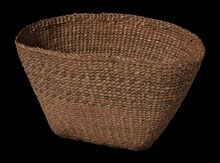 Item number 1938.36.1928 from the Pitt Rivers Museum. Made in British Columbia Haida Gwaii NW Coast, Canada ? British Columbia Haida Gwaii NW Coast, Canada ?